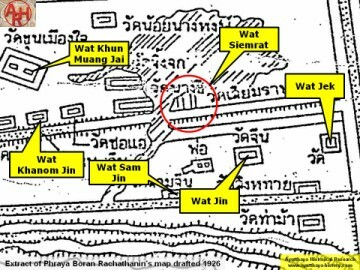 Khao Pluak (the canal that once flowed from north to south in front of Wat Maha That). 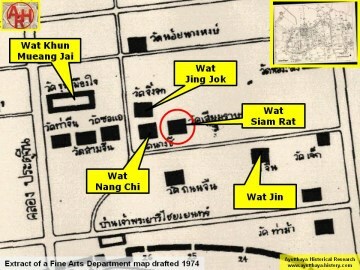 The nearest modern landmark is Chiresat Witthayalai School. is not clear what this temple ever looked like. 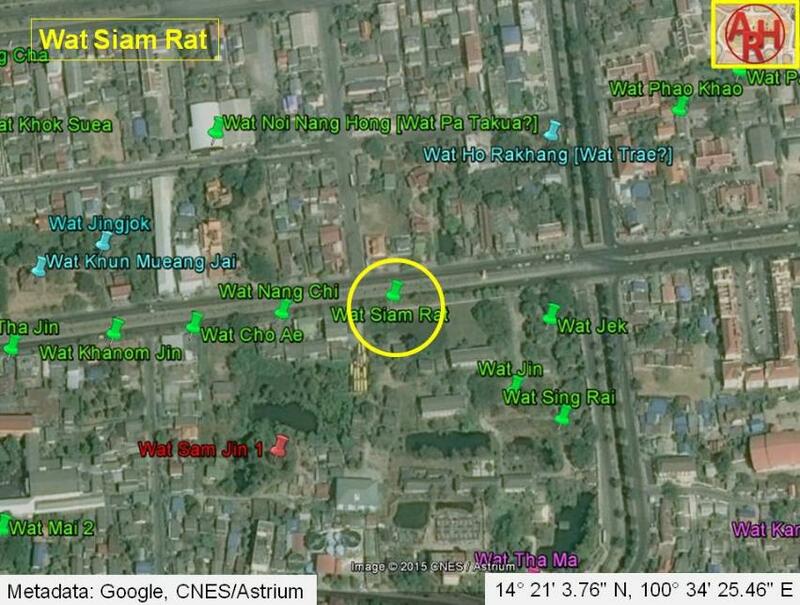 It is not certain when Wat Siam Rat was originally founded or when it disappeared.